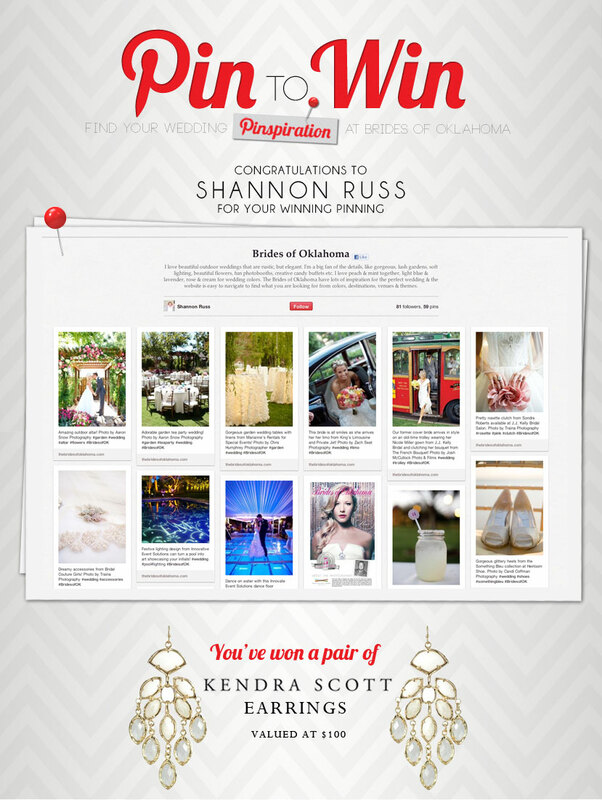 Congratulations to our first ever Pinterest contest winner – Shannon Russ! Shannon has won a pair of these darling Kendra Scott earrings! 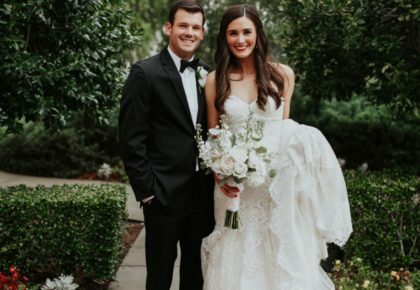 We absolutely adore all the pins on Shannon’s Brides of Oklahoma Pinterest board. 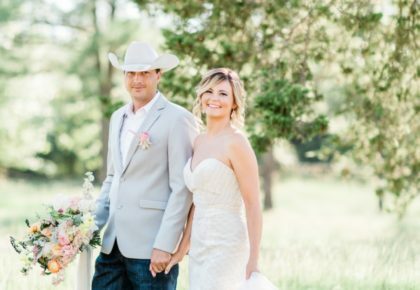 Shannon prefers rustic, outdoor weddings with a touch of glam. We love how she included so many fun detail pins like cotton candy favors, cute clutches, fun photobooth shots and creative candy buffets. You can check out Shannon’s board and be sure to pin your favorite images from our website! 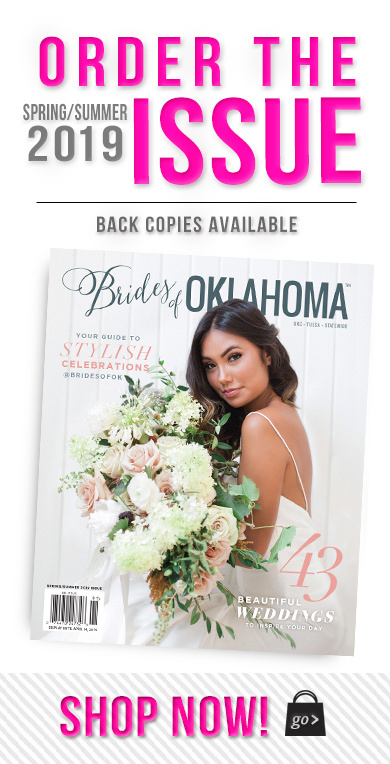 We’ve categorized one beautiful Oklahoma wedding after another by color, style or type of venue to make it easy for you to find looks you love. 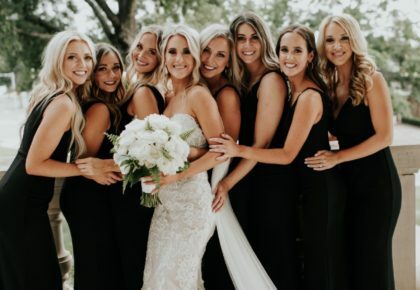 Follow us on Pinterest for even more wedding inspiration! Cheers and happy pinning!